Somatics uses a 3 step process to reset and lengthen your muscles. The skills taught with mindful somatic movement allows you to relax chronically tight muscles which have been contributing towards rigid muscles which in turn affects your posture, joints and range of movement. Back pain sufferers fear moving too much in case their back tightens further or their pain intensifies. Somatics will teach you how to move your body in a therapeutic and intelligent manner, so you can reduce pain and move freely. Imagine the great interests and hobbies you could pursue or resume by applying the three step process used in somatic movement. 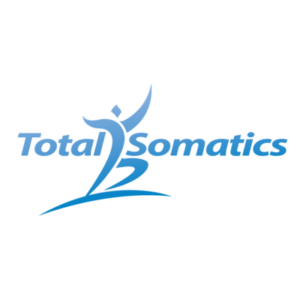 Somatics will help you learn how to coordinate and move your muscles in the full range of movement they are designed to do. By “waking up” the areas of your brain which communicate to specific muscle groups and regions of your body with a 3 step process, you can break detrimental habitual behaviours such as poor posture, repetitive strain injuries and stiffness. Your brain learns very quickly. So if you practise a poor posture, incorrect movement or stay in one position for too long, your brain will tell your muscles to stay chronically tight in this pose because it is “the new normal.” Chronically tight muscles will create strain and stiffness on both the muscles and the joints. When you practise Somatics, you learn skills which can be taken in to everyday settings such as when you are working at your computer. 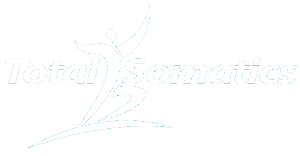 Somatics is a practise which involves the mind and body. In order to practise mindful somatic movement, a person must be fully present. When a person is stressed or anxious, they are often concerned with future or past events, rather than noticing and cherishing the present moment. Somatics teaches you that it is important to take time out and allow your mind and body to wind down. When a person is anxious or stressed, their limbic system is constantly working overtime. The limbic system is also known as the ‘fight or flight’ stress response. With specific techniques used In somatics, we teach the limbic system to slow down. Thus allowing other areas of the brain responsible for focus, attention, awareness, concentration, decision making and overall emotional intelligence to take greater control. This results in a person RESPONDING rather than REACTING to life events, personal interaction and health issues. Somatics helps reduce neck, shoulder pain and headaches by releasing deep layers of muscles from the pelvic region. Why? Movement begins from the centre of your body, the pelvic region. If you are stiff, tight and rigid in this area, it will affect the position of your pelvis and in turn the amount of movement and shock absorbency in this area. If the centre of your body is ‘locked down’ or ‘jammed’ you will find the combination of movement, poor shock absorbency and chronically tight muscles will impact and reverberate along the muscles and joints of your vertebrae to the neck, shoulders and base of your skull. Resulting in neck, shoulder pain and possibly headaches. By addressing tight muscle patterns from the centre of your body and working outwards methodically, you will find the pain in your neck and shoulders will reduce significantly. You must be consistent with your practise to enjoy the long term benefits. Somatics helps increase movement of the respiratory muscles. By practising deep somatic breathing with specific movements, you can increase the length of muscles involved in breathing. How? Your brain will adapt to the habits you create. If you breathe shallow, spend a large amount of time hunched over or your suffer with stress, the muscles between your ribs and your diaphragm will shorten. After a while, it feels an effort and hard work to breathe deeply. Your ribs feel rigid, which also puts pressure and tension on your neck muscles. Your diaphragm cannot lengthen to the amazing range it has been designed to expand to because it is locked within a tight ribcage. With specific somatic movements and applying the 3 step process, you can release tension in your ribs, increase the depth of your breathing which in turn allows your diaphragm to expand further. As an added bonus, it will relieve pressure in your neck and shoulders. You will notice how your range of movement improves, you’ll be allowing an increase of fresh oxygen into your tissues, improving overall muscle health and nutrition. Somatics helps release chronically tight muscles which contribute towards tight hip flexors and hip pain. Pain in your hips, back and hip flexors are often as a result of tight muscles which in turn pull on joints. If you are encouraged to strengthen your ‘core muscles’ which are already tight, you may alter the position of your pelvis further. Thus creating strain on your hips, back and hip flexors, you are basically amplifying your pain by tightening the muscles further. You need to learn how to voluntarily release chronically tight muscles before strengthening them. We all know how to work hard and fast but many of us have forgotten how to work slow, subtle and mindfully. Likewise we know how to tighten and strengthen muscles, however we find it a challenge to relax and reset our muscles. Even when a person thinks they are relaxed, their subconscious mind is still holding a level of tension in muscles which could actually ‘switch off.’ The 3 step process used in Somatics requires the brain to make changes to your subconscious or unconscious mind, which cannot be achieved with stretching. Somatics involves the brain, which is known as active lengthening. It improves coordination and mobility which may have been lost from habitual actions and postures.